Guillaume Azoulay, "Lever De Soleil" Limited Edition Serigraph with Hand Laid Silver Leaf, Numbered and Hand Signed with Certificate of Authenticity. $3,500.00 $500.00 Only 2 Left! 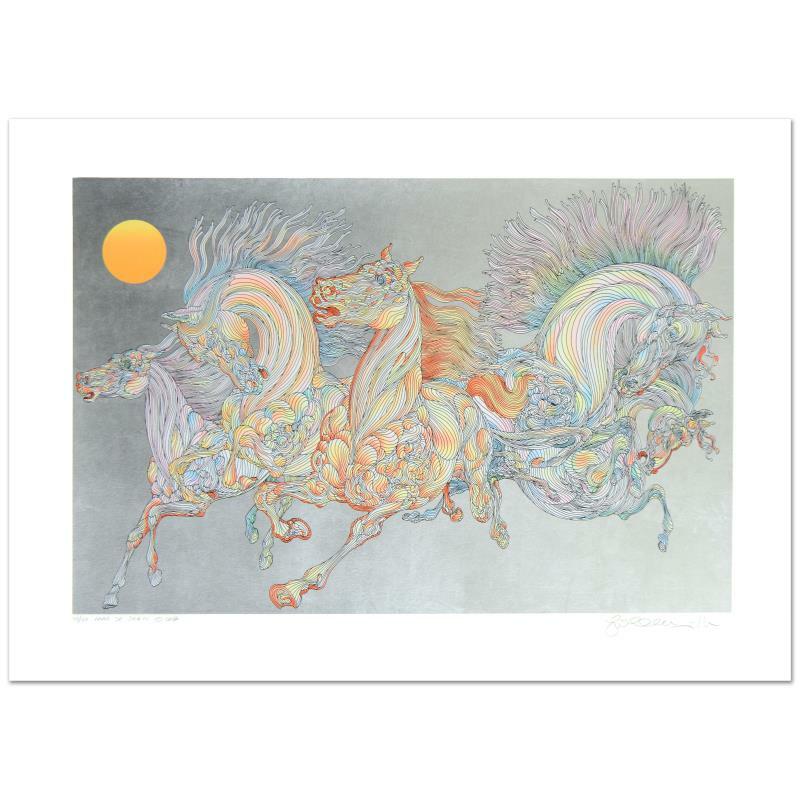 "Lever De Soleil" is a limited edition serigraph on paper with hand laid silver leaf by Guillaume Azoulay, numbered and hand signed by the artist. Includes Certificate of Authenticity! Measures approx. 38" x 27.5" (border)., 32" x 21" (image).